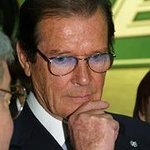 Hollywood legends Sir Roger Moore, Brigitte Bardot and Virginia McKenna, OBE, are speaking out in support of a ban on selling animal-tested cosmetics in Europe. They join stars Ricky Gervais, Ke$ha, Leona Lewis, Melanie C, Dame Judi Dench and Mary McCartney in signing Humane Society International's “CrueltyFree2013” petition. These stars and more than 92,000 compassionate consumers are urging European Union politicians to keep their promise to make Europe a cruelty-free zone by banning the sale of new cosmetics tested on animals. With a ban in place, any cosmetics tested on rabbits, hamsters or other animals after 2013 would be banned from EU shop shelves. In 2009, the EU banned animal testing for cosmetics in its own labs, but it is still legal to sell animal-tested products and ingredients imported from countries such as Brazil, China, Canada and the United States. An EU-wide ban on the sale of animal-tested cosmetics is due to come into force in March 2013, but the European Commission has hinted the ban may be delayed, perhaps by many years. HSI supports the international Leaping Bunny cruelty-free standard. Companies that carry the Leaping Bunny logo are subject to independent audits to guarantee no animal testing, and include Urban Decay, Hard Candy, Montagne Jeunesse, Marks & Spencer, Sainsbury’s and the Co-operative. To join the celebrities and 92,000 EU consumers who’ve signed the CrueltyFree2013 petition so far, please click here, or visit www.hsi.org/crueltyfree2013.